My husband and I have recently been reviewing our insurance coverage to figure out exactly we need as a married couple with no kids. 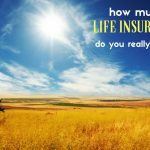 Last week, I shared some thoughts on health and life insurance. One of the most frequent responses to my previous post was that we should also be thinking about disability insurance. Nobody likes to think about what life would look like should disability strike. According to the American Council of Life Insurers, however, the reality is that one-third of all Americans between the ages 35 and 65 will experience a disability lasting more than 90 days. Disability insurance replaces a portion of your income if you become disabled and are unable to work. While employer-backed plans are often more affordable, you tend to have more options buying private coverage. Because every policy is different, it’s important to familiarize yourself with the benefits offered by each. For example, if you receive bonuses and commissions in addition to salary, double-check to see if your coverage is based on your base salary alone. Also make sure you know when your coverage kicks in, what percentage of your income it pays, and so on. As you might imagine, the primary difference between short- and long-term disability insurance lies in the types of disabilities that they cover, and the length of time that they pay benefits. Short-term disability insurance usually kicks in quickly, but only lasts for a few months. The idea is that this is a temporary condition, so benefits will end after a certain time period disclosed in the policy. Long-term disability typically has a longer waiting period before going into effect, but also provides longer-term coverage. Thus, long-term disability insurance protects you if you suffer a devastating disability and have to stop working for an extended period of time. It should be noted that worker’s compensation is also a form of disability insurance, but it does not cover injuries outside of the workplace. Moreover, it doesn’t cover disabilities caused by illness. Thus, if you’re relying on worker’s compensation to provide your safety net, you’re taking a significant risk. While the Social Security Administration offers disability benefits for you and your family, they don’t kick in for six months, and they’re not particularly generous. For example, if you are currently 30 years old, earning $60, 000 per year, and intend to retire at age 65, this calculator estimates that you’d qualify for $1860/month in benefits — that’s just a bit over $22k/year. How much disability insurance should you get? For your disability insurance needs, I suggest using a calculator, like this one, which can give you an objective idea of what you need. In essence, you need to figure out how much you need to cover your bills while you’re out of work. If there’s a gap between your coverage and your expenses, you’ll have to make up the difference with your savings. Look for something that covers your ability to work your own occupation (Social Security provides what’s known as “any occupation” coverage) and covers as close to 70% of your income as you can afford. (70% is the max that many carriers insure.) You will owe income taxes on any benefits you get from a policy that your employer buys, but not on anything you buy personally. Since disability policies don’t typically replace your full salary, and they also don’t kick in right away, it’s still critical to have an emergency fund to supplement your coverage. In the end, you have to weigh all the factors for your family. How much coverage can you comfortably afford? My husband and I are looking at our disability insurance options, but probably won’t make a decision until the next month or so. How about you? What sort of disability coverage do you have? Employer-provided coverage? Or do you have a private policy? I never knew what disability insurance really was. i never knew its importance. giving a look at your article truly help me understand it. thank you so much for sharing such a great informative article. Whatever the stats say, and I tend to agree that most aren’t extremely accurate, ask yourself if you were to become disabled, would you want more of your income protected? Most would answer yes, but few know what they actually would get if sick or injured. So first confirm how much you would get from any employer benefit. Then figure out how much you would need to live, not just to get by. Often overlooked is savings (for education, retirement, etc. ), employer retirement matches, potential need to pay for personal health insurance and other new costs that you might not have now. If you have problems figuring these figures out, call a professional and ask for help. Don’t know who to call? Ask a friend or two who they work with. 99% of people in our industry build their businesses strictly through introductions from clients of theirs, and would be excited to be able to help. Disability insurance is extremely valuable if you have no emergency fund, after you have a sizable cushion– it is less important. The policy will remain in force as long as you pay the premiums. However, there could be a clause in the policy which states that if your husband is not emplyed when the disability occurs, then no benefit would be payable. Wthout seeing the specific policy, I can’t say for sure. I used to sell disability insurance with my last job, so I know how the policies can be very confusing. I would suggest either contacting yur agent (if you used one) or the company directly. The insurance company cannot change your policy based upon your conversation. I am somewhat confused. My husband’s personal disability policy was written using his salary as a benchmark. We are paying premiums based on that coverage need. He has recently been laid off. We are continuing to pay the premiums. I am assuming that the policy would pay out if he became disabled now while he is unemployed (but I’m unsure). I’m also unsure about when he returns to work; if his salary is lower would the policy pay out at the higher salary it was written for? The premiums will not have been reduced. If the company goes off the income tax return and he has been unemployed then the coverage goes down dramatically. These policies are written with the premiums based on current salary and need. Once they are written and those circumstances change (for bettet or worse) I am assuming that the policy stays in place as long as premiums are paid. Am I off base here? By the way, thank you for answering this. There are some good tips on here so far. Be careful of the group coverage as it says it covers 60% but I find most of the policies average closer to 40% when you account for taxes, bonuses, overtime, other income, salary limits, etc. These group policies are basic coverage. If you want to make sure you have sufficient coverage you should look to supplement the group coverage with an individual policy. Also remember DI only covers you up to age 65 or 67 so after that your on your own with your retirement savings. Oh and when you are out of work you can’t contribute to your 401k. This is something to look into protecting as well. As for the question on fluctuating salary, personal policies go off of tax returns. So they only cover you up to what your tax returns show. 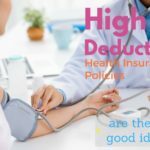 So if you are self-employed and show a small income to save on taxes it hurts you with DI coverage. If you have a spot in your budget disability insurance is so important. Personally, I consider it as a way to show my family love and respect. Because the future is uncertain I want to be sure we have financially prepared for worst case scenario. I appreciate the feedback and tips! Once my husband check with his employer we’ll compare everything and make a decision. Consider Long Term Care insurance too. While it is recommended that one consider this in their 50’s, too ofter it will be denied at that age if you end up with pre-existing conditions. You are better of taking it early when you can get it. What does it do? Well it pays a certain amount every day for someone to assist you should you ever get in a situation where you can’t do certain defined tasks e.g. bathe etc. This is a useful coverage to have since it frees up the spouse to work and have someone care for some of the patient’s needs. This is a no-brainer to me. I’ve got long term disability coverage at a discount through my job. If your job is your primary source of cash flow, why wouldn’t you want to insure it? The policy will remain in force as long as you pay the premiums. Depending upon how long his unemployment lasts, you might be able to suspend the policy while he is unemployed, then resume it once he is employed again. That’s could be risky if you forget to reinstate it, but it could help reduce expenses in the short term. Without seeing the specific policy, I’m not sure how the benefits would be affected with a new job. My husband has had a private disability policy for five years. Recently he lost his job. We are paying the premium while he looks for employment. I am assuming that as long as the payments are paid the policy continues. Does anyone know if this is true? I can’t find any information in the policy on this. The policy was also written using my husband’s former salary as its basis. I’m not sure what happens if he finds a job making more or less money. I’ve asked several people and scoured the internet but can’t seem to find where this is addressed. I haven’t contacted the insurance company directly because I’m hoping this period of unemployment will soon be over. Don’t forget to think about a cost of living adjustment component for your policy. You hope you never need it, but if you ever go on disability you want your benefit to increase every year at least to keep up with inflation. I agree that you should obtain disability insurance. The odds are greater that you will be disabled than of you dying. DH and I both have long-term disability insurance through our employer. It covers 60% of salary and the premiums are less than $20/month. I’m self employed but was able to buy group long-term disability through a professional association. This is often a good way to access coverage when not available through an employer. Other professional associations, credit unions, and other membership groups may offer quality, affordable group coverage. It’s usually worth looking in to it; even if you have to pay to join an organization, it still may work out to be cost effective.